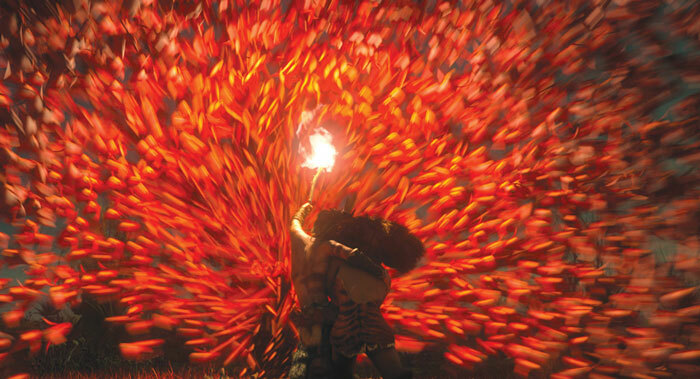 As one of the most anticipate 3D computer-animated comedy films in 2013, The Croods produced by DreamWorks Animation and distributed by 20th Century Fox, indeed lives up to expectations. Featuring the voices of Nicolas Cage, Emma Stone, Ryan Reynolds, Catherine Keener, Clark Duke, and Cloris Leachman, this animation refreshed the unremarkable story, with moments of genuine visual imagination. DVD The Croods is absolutely a worthwhile movie you should share and watch with your family. 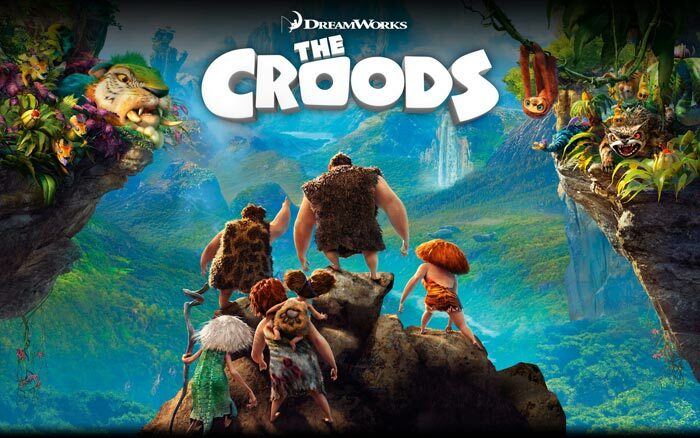 The story of DVD The Croods is set in a fictional prehistoric Pliocene era and centers on the primitive Crood family. This family of six follows the monotonous routine in cave under the protection of patriarch Grug (Nicolas Cage). However, when their cave is destroyed in an accident, they are forced to leave their home to trek through a dangerous but exotic land in search of a new home. During the process of exploring, Grug’s leading role has been challenged by an imaginative nomad named Guy (Reynolds) they encountered. But with Guy's help the Croods conquer their fear of the outside world and discover that they have exactly what it takes to survive - each other. The Croods received generally positive reviews, and proved to be a box office success, with a sequel and TV series already put in development. All the breathtaking vision – colorful and wonderful lands, creatures, flora and fauna will impress the whole family. The Croods is pleasant enough for family viewing, offering quite appealing and touching message about discovery and fear of change to family members. The Croods is a fantastic movie you would like to share with your family and friends. 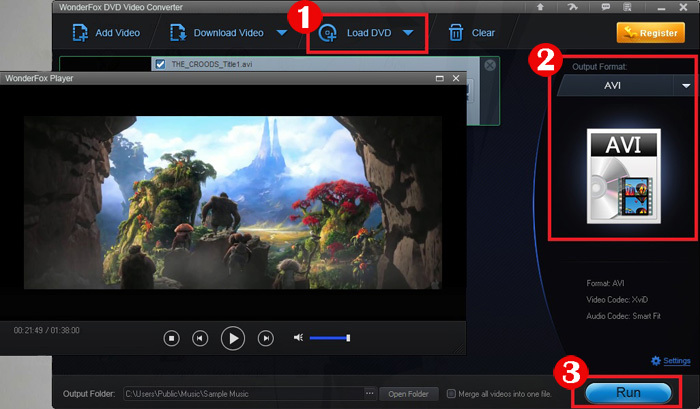 If you already have DVD The Croods, the very first thing you need to conquer is to know how to rip and backup DVD The Croods so that you can enjoy it freely. Here we introduce you a good solution to do it – WonderFox DVD Video Converter, which is a handy program that can help you rip and store this DVD movie in your hard drive for a long time regardless of any DVD copy protection embedded in DVD The Croods and enables you convert DVD files to any video format you need. Therefore you can better watch it on your PC, iDevice, Samsung Galaxy series and other portable devices. The following part will guide to backup DVD The Croods step by step. Launch it. On the main interface, click “Load DVD” to import DVD you insert. 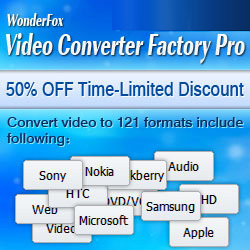 WonderFox DVD Video Converter will detect the right title and basic information of this DVD automatically. Find the output format or device you want for output. More than 100 video formats are provided for you. You can also specify output folder if need. After that, press “Run” button to start ripping the encrypted DVD The Croods to your hard drive. Then you can share your DVD video with your friends and play DVD The Croods on iPhone, iPad and other portable devices you have.